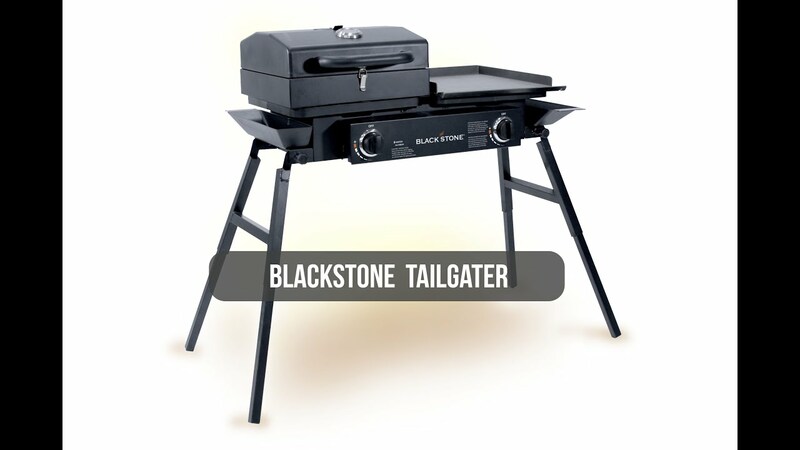 The Blackstone Gas Tailgater Combo in Black with Grill Box tackles anything, anytime, anywhere. Grill up fish, burgers, chicken, steaks, and veggies on the grill box. Sear some hash browns, bacon, and eggs on the griddle plate. Then use the direct burner to cook with dutch ovens, stock pots, and skillets. With 35,000 BTUs of firepower, make any tailgate, campsite, and backyard outing the stuff of champions! It’s versatile; it’s intense, it’s Blackstone! This combo includes a stand with two burners, a griddle plate, and a grill box. Hearty portions for small groups or a few gigantic meals that will satisfy even the biggest appetites. Small family-no problem. Tailgate team- easily satisfied. Campsite- invite the neighbors. Rusty GrillI purchased my blackstone a year ago and have loved how well it does cooking. I do have two complaints about it though. I did not purchase the grill cover at same time as grill was bought. I didn't even think it would be a problem seeing it sets on a covered deck. Well the stainless 36" grill rusted horribly just from the night air. I've went online to Blackstones website and the replacement grill top is $144.00 not alot less than what my purchase was for the whole grill. today I went back online to their website to purchase the burner cover/drip pan and it's not even on their parts list on their site. The one on my grill is a thin piece of metal that is just falling apart. The drip pan cover is too thin of metal and will not hold up the salt from seasoning's or the heat from the burner. I'm kinda disappointed in how durable the unit is. The best, recommended by the best.Purchased our Tailgater last year after my good friend Showman Dan (Dan Crocker), team cook for Chip Ganassi Racing in NASCAR, showed me what he does with his Blackstones. We stay in our RV all summer and this combo is the best for three meals a day. Moved it onto the deck last fall and have used it all winter. Love our Blackstone. Great RV GrillWe purchased it for our 5th wheel. I seasoned it as directed and used it quite a bit last camping season. It worked great. I love this so much, I may get the double griddle. The only thing I have a problem with is the Black knobs on the spring-loaded pins fell off and vanished. Minor issue, given the benefit. Carrying bagHaven't used bag yet! Wish they would some instructions on where stuff goes in each bag!!! Awesome TailgatorWe love our tailgator! However, we have used the grill so much that we now need a replacement grill for it. Would love to purchase one because the griddle side is still in perfect condition. Direct burner access for dutch ovens, skillets, and stock pots.